Announced recently, XRP is rated as number One cryptocurrency in Weiss Crypto Rating’s annual outlook of cryptocurrencies. Specifically, XRP stood out as higher as the best combination of technology and adoption. XRP is the most likely to compete with SWIFT, the global network for money transfers among the world’s financial institutions. Weiss Crypto Rating showed the result in terms of “rank plus reward factors” and the best combination of technology and adoption. Consequently, the agency stated that no coin earn A grade for the former parameter, while XRP ranked #1 with A grade for the latter one. 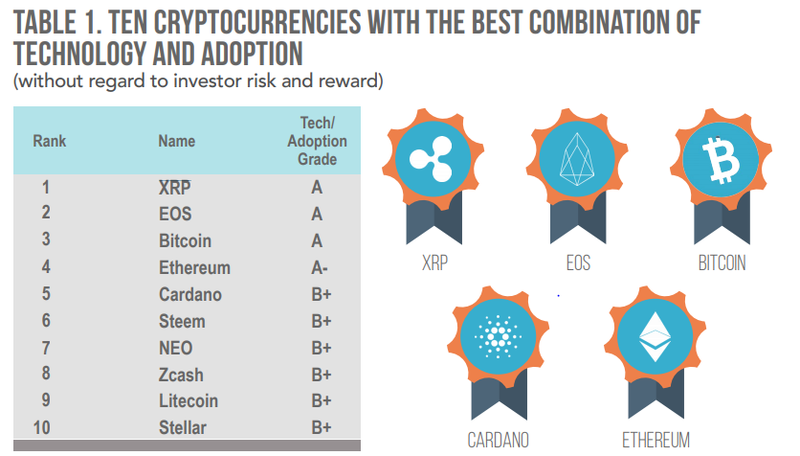 With XRP naming as the number one, other coins such as EOS stood second, followed by Bitcoin whereas the agency reported Ethereum ranked A- and Cardano, Steem NEO, Zcash, Litecoin and Stellar takes B+ Grade. The post Weiss Crypto Rating Named XRP Number One Crypto in latest Annual Outlook appeared first on Latest Ripple (XRP) News & Price Analysis.